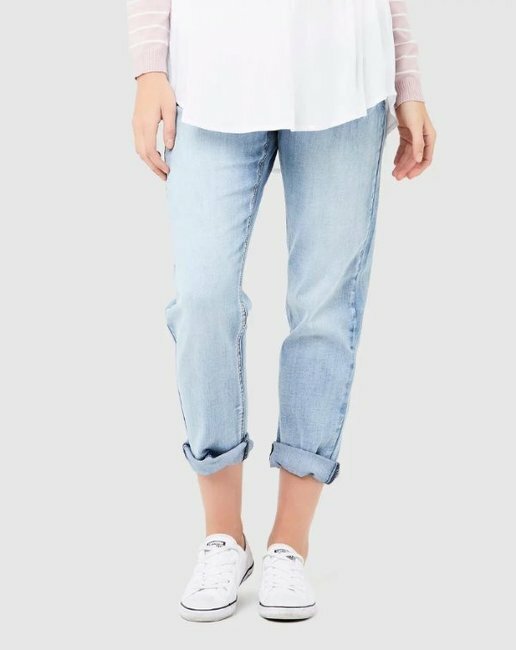 Target jeans: The $39 girlfriend jeans we're obsessed with. They say you only really need one good pair of jeans and you’re set. Not sure who they are but to them, we say codswallop. There are simply too many great styles of jeans to chose from. To limit your legs to just one pair would almost be cruel. Speaking of great pairs of jeans, we should mention boyfriend jeans are kind of done. 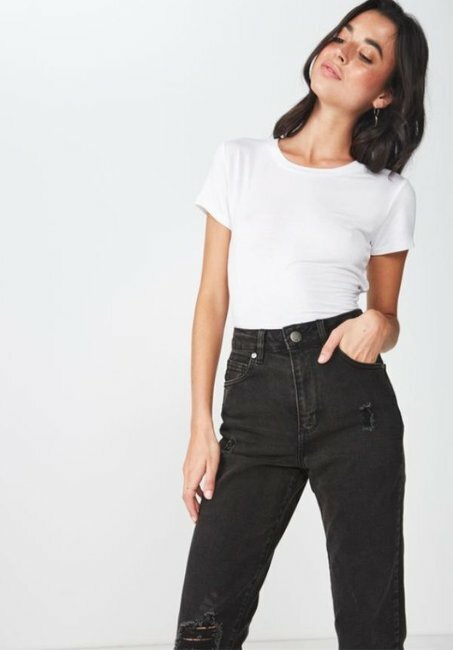 Don’t go burning yours, but we have it on good authority girlfriend jeans are the new boyfriend jeans. 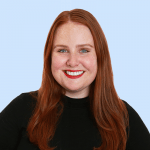 Side note – looking for some fashion inspiration? Mamamia took to the streets to ask stylish women how they get dressed in the morning, post continues after video. How are girlfriend jeans different to boyfriend jeans, you ask? Valid question considering there are a lot of names out there for jeans that all kind of look the same. In this case, it comes down to the fit. 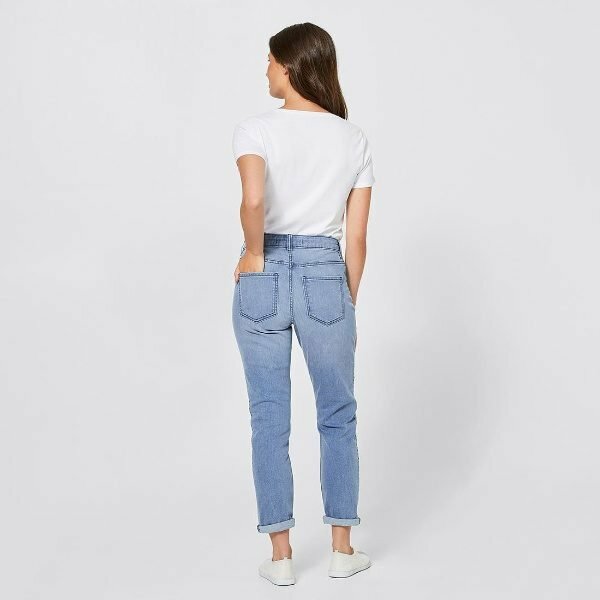 Girlfriend jeans are basically the best bits from boyfriend jeans – relaxed, edgy and straight leg – but with a snugger fit around the hips and bum because, funny thing, boyfriends don’t really have bums like we do. Think slouchy, without looking too loose and baggy. 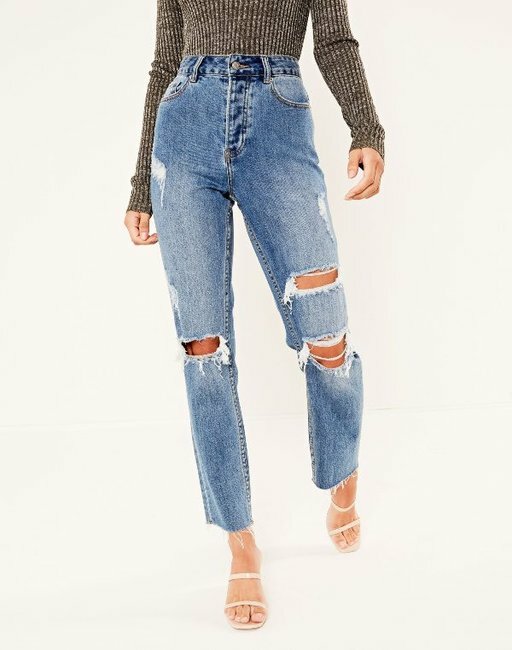 Kind of like if mum jeans and boyfriend jeans had a fling and out popped girlfriend jeans. 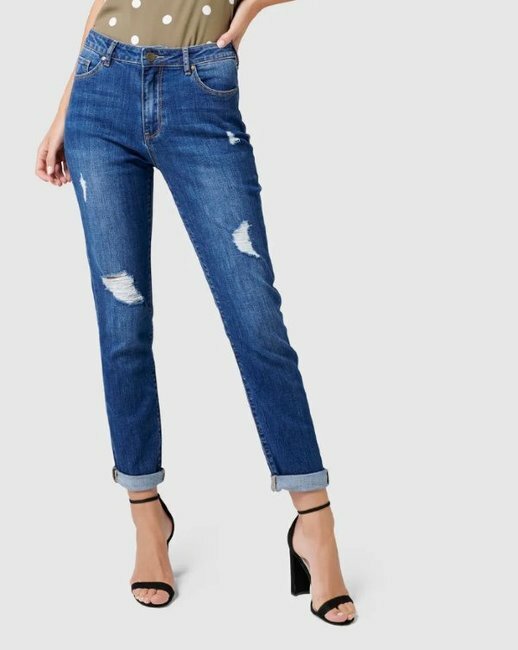 A perfect example of the girlfriend jean is this $39 pair from none other than good ole Target. 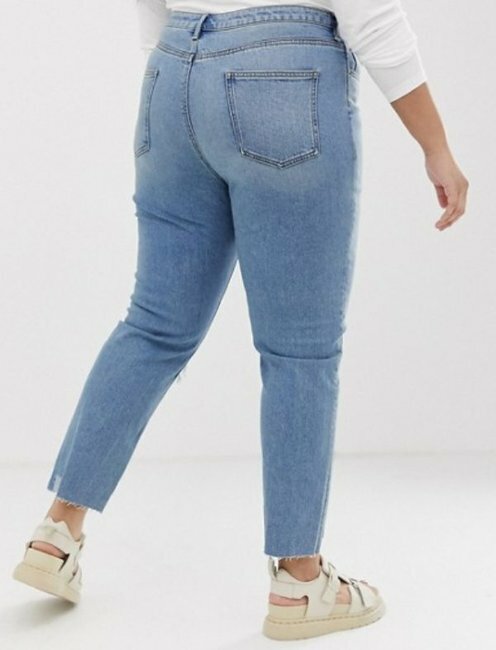 The Tash Girlfriend Jeans from Target’s new Denimland collection come in sizes 6-18 and have a relaxed fit through the hips and thighs, but the slight stretch in the fabric keeps the silhouette flattering around the bum and waist. We’re really digging that side stripe detail, which you’ll see more of coming into winter. 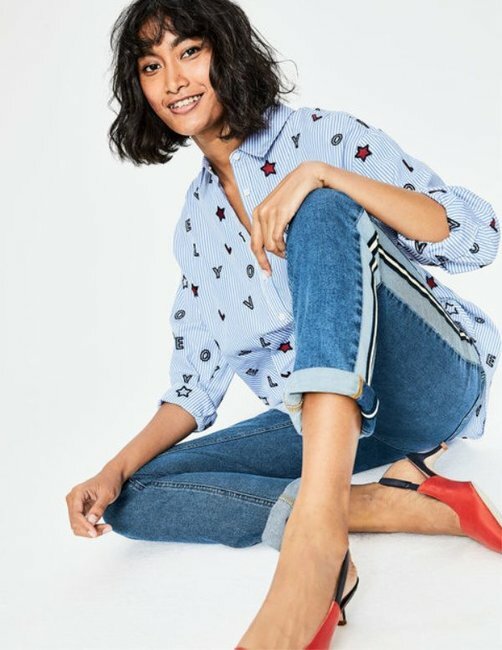 This Target girlfriend style also come in a light wash in the same flattering cut, but with rips over the knees for a purposefully distressed look. Girlfriend jeans with a nice top and heels for a night out. 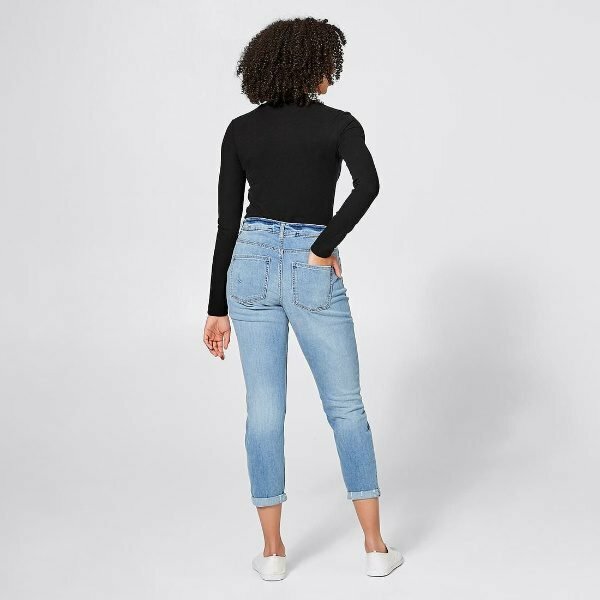 Girlfriend jeans with a blouse or jumper tucked in with boots for work. 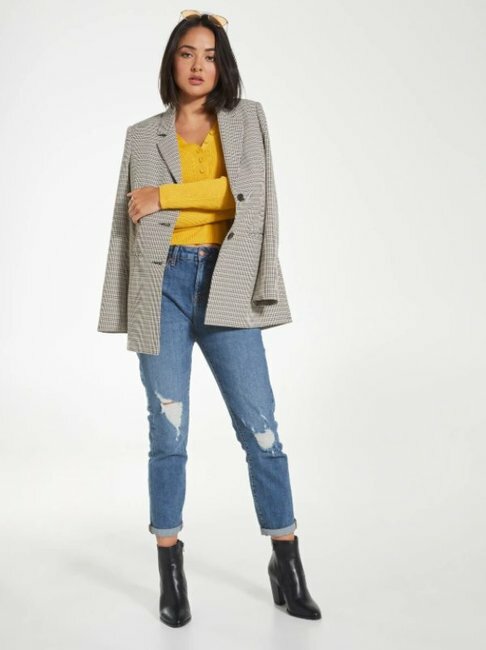 Girlfriend jeans with a checked blazer and flats for another office look. Girlfriend jeans and white sneakers on the weekend. Target isn’t the only place you’ll find girlfriend jeans. 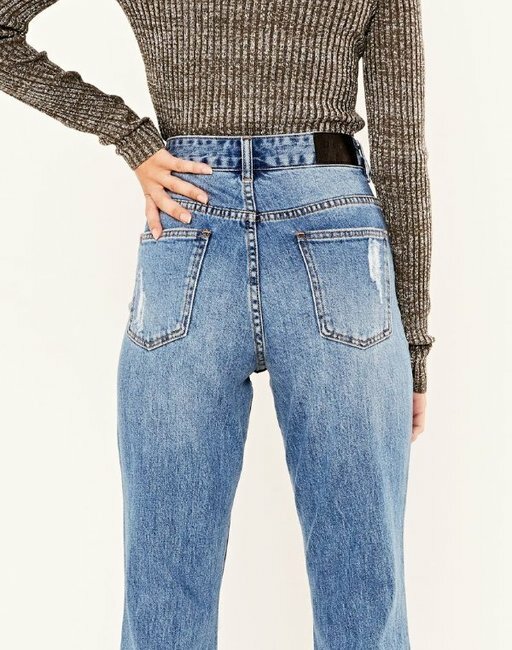 Here are a heap of great girlfriend jean options to get on your bum ASAP. 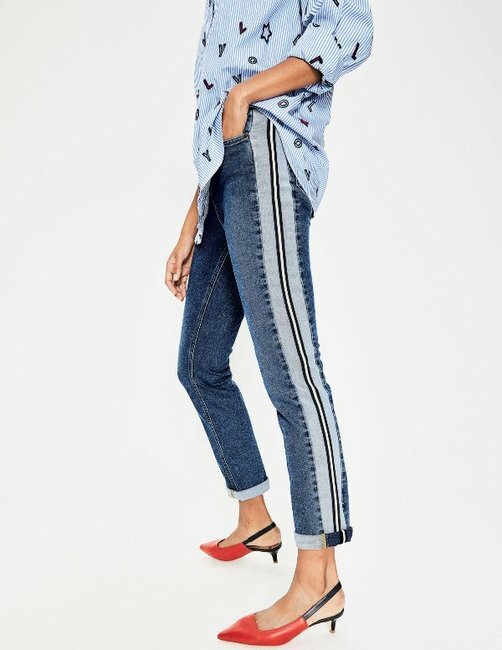 Target Tash Girlfriend Jeans with Side Stripe, $39. Target Tash Girlfriend Jeans, Distressed, $39. 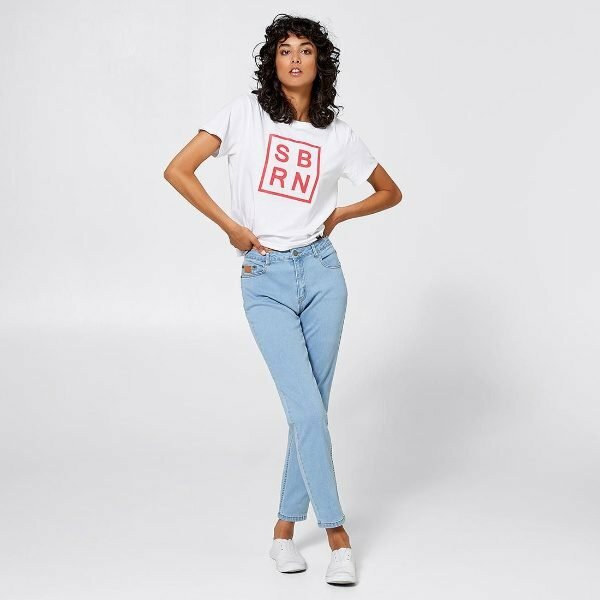 SBRN Stretch Girlfriend Jeans, $39. 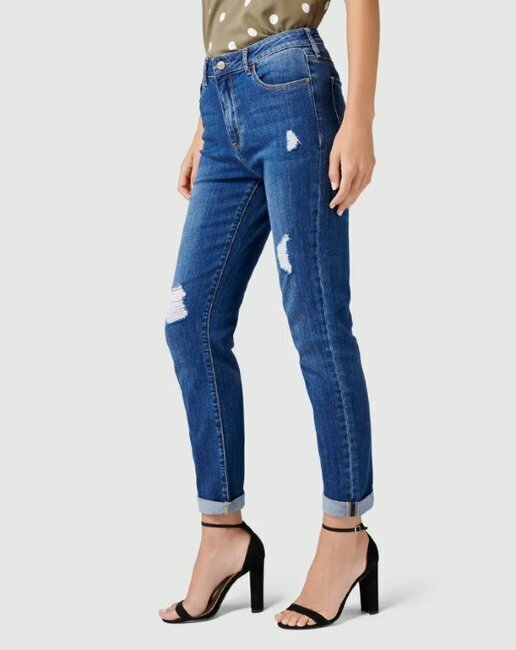 Forever New Emmy Mid Rise Girlfriend Jeans, $89.99. 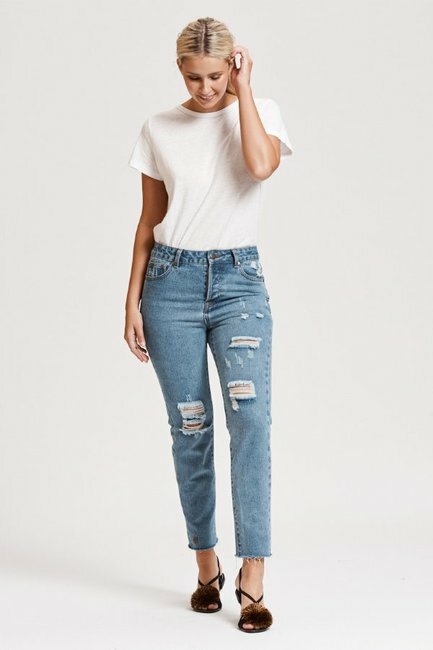 ASOS DESIGN Curve Farleigh Jeans, $70. 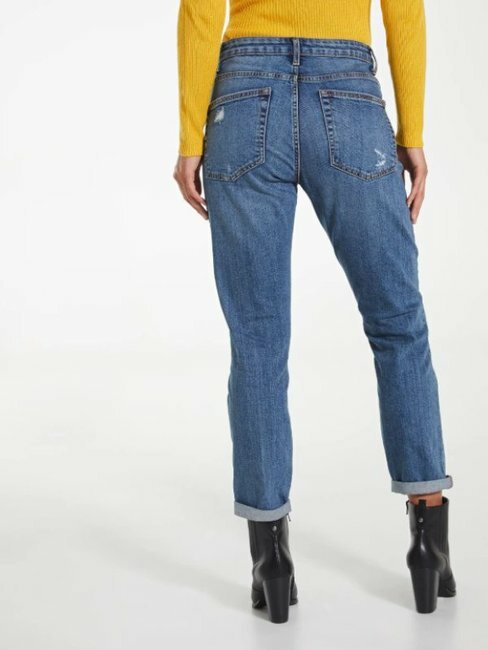 Boden Cavendish Girlfriend Jeans, $117. 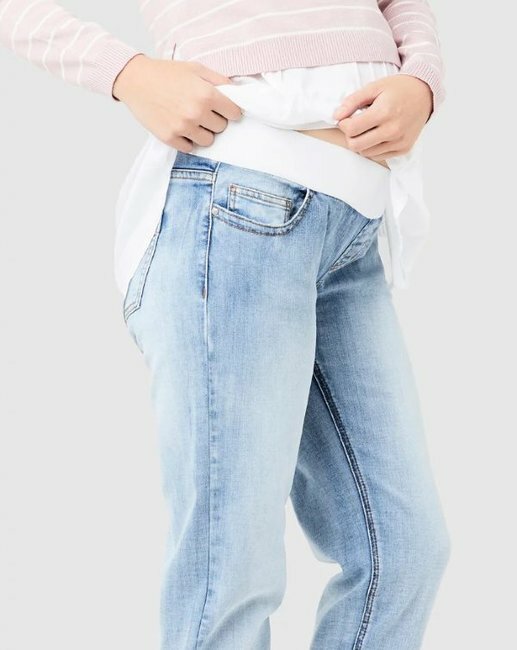 Ripe Maternity Jamie Girlfriend Jeans, $129.95. 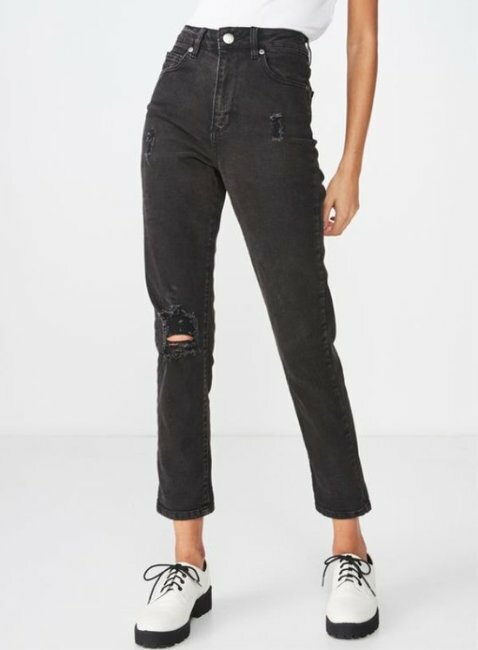 Glassons Ripped Girlfriend Jeans, $59.99. 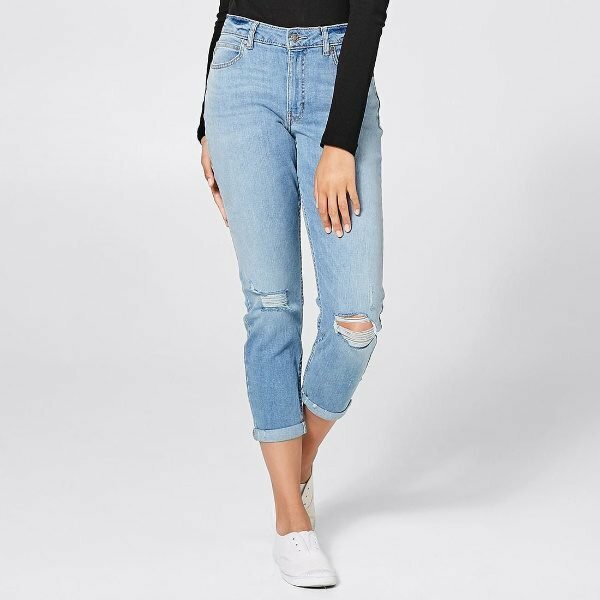 Cotton On Women High Rise 90S Stretch Jeans, $49.95. 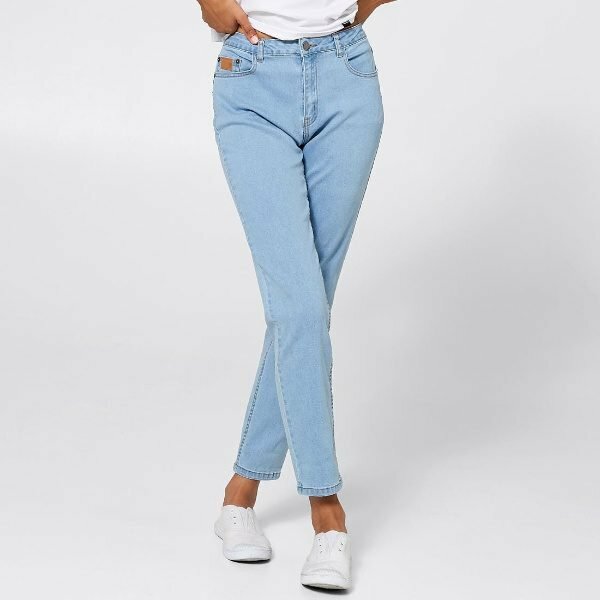 Dotti Gabby Girlfriend Jeans, $49.95. Bohemian Traders The Original Everyday Jean, $79.